On the eve of the Grammy Awards, things are heating up in the battle between Joe Satriani and Coldplay. After staying relatively mum on the subject, the band is now hitting back hard, calling the plagiariam lawsuit Satriani has filed against them "ridiculous" and "totally unfounded." Guitarist Joe Satriani has claimed that the UK superstars copied "substantial, original portions" of his 2004 song If I Could Fly in their 2008 hit Viva La Vida. The latter song is the title track of Coldplay's most recent album. The band, song and album are nominated for multiple Grammys. Coldplay's drummer Will Champion has gone on record with what are the most forceful and direct comments from the band regarding the lawsuit, calling it "a crazy thing." Elaborating, Champion said, "It's so far-fetched and ridiculous, but that's about all we can say at the moment. We're waiting to see what's happening but it's frustrating and annoying...and totally unfounded." Champion's assertions were made during an interview with the Australian site Confidential. Thus far, he's the only member of Coldplay to offer anything other than the official statement the band released late last year in which they claimed that any similarities between the two songs were "entirely coincidental." 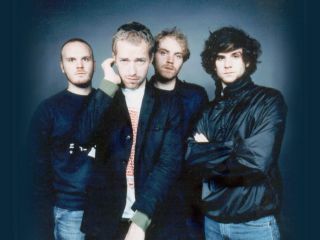 Whether Champion has been advised to come out swinging or if Coldplay's legal team now puts a gag on him remains to be seen. But one thing's for sure: Sunday's Grammy Awards are bound to be most interesting.